So I really enjoyed Silk Is For Seduction, the first novel in this series. I swooned at the romance and it was basically just what I want from a historical romance. While I did enjoy Scandal Wears Satin, it didn't bring me the same emotions Silk Is For Seductions did. I really liked Sophy, she's an independent woman who knows what she wants and I love that she writes for a gossip column along with everything she does to keep Maison Noirot in business. She's smart and I loved she scheme she came up with to get Lady Clara out of trouble. It was priceless! I liked Longmore, at times I loved him. But the main problem I had with him was that he wasn't very bright. He actually thinks and says that he'd rather not do too much thinking. I don't think he was actually as stupid as he was made out to be, cause he could spar with Sophy quite adequately, it just annoyed me that it was constantly mentioned that he wasn't very smart. I like my men smart. Longmore is more of a physical person, though I did like that he was in touch with his feelings, even though he didn't always like it and that he was kind to women, especially to his sister. 'Why has no woman stabbed you before, I wonder?' she said. 'I have quick reflexes,' he said. There were a lot of other moments like these, and for me, it's what made the novel. Also, I love that Longmore refers to babies as 'little squirmy pink things that howl'. There were definitely some laugh out loud funny moments and I love to have that along with my romance! BUT. I never fully connected to the story and I wasn't on the edge of my seat, biting my nails wondering how they would work it out and it didn't manage to bring tears to my eyes. 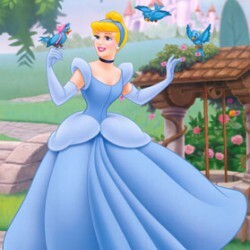 I did however love the gorgeous dresses that are a character on it's own. So, while I enjoyed Silk Is For Seduction more, this was definitely an enjoyable read. It has humour mixed in with the romance, and I just love when you can have both in a novel. 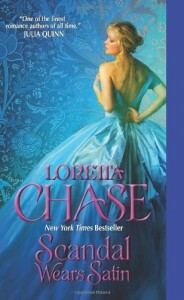 I'm definitely curious what Loretta Chase has in store for the remaining single Noirot sister Leonie!